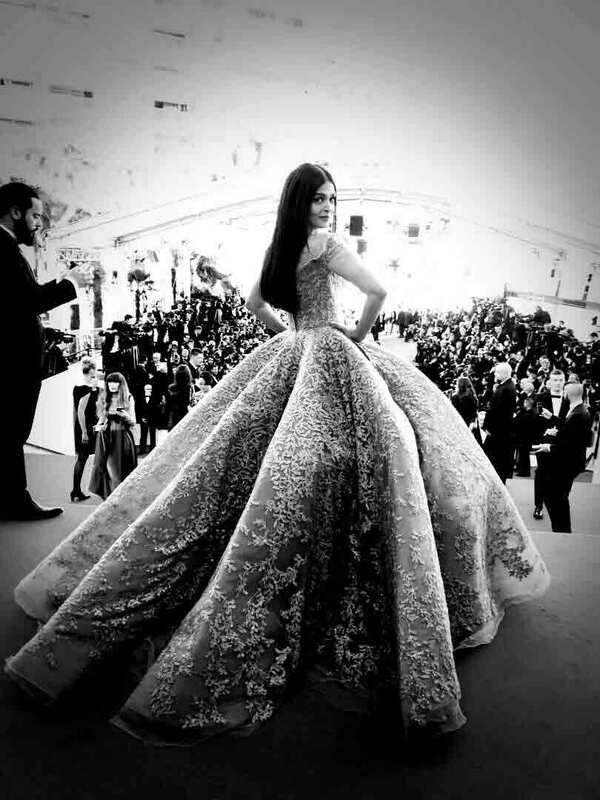 Bollywood actress Aishwarya Rai Bachchan who is a veteran at Cannes Film Festival walked the stairs like a diva, setting the bar too high to follow. Wearing a blue Michael Cinco gown that was paired with Ferragamo shoes and Boucheron jewelry, Aishwarya didn’t just walk the red carpet, she sets the tone for the others to follow. Her appearance at Cannes Film Festival had everything – pose for the photographers, iconic flying kiss, namaste and a walk to follow on the stairs. Her dress – the gown from Michael Cinco’s Fall-Winter 2017 collection named The Impalpable Dream of VERSAILLES has been inspired by palaces of Versailles. Earlier for photoshoot, the 43-year-old actress wore a layered, floor length ensemble from Yanina Couture. The bottle green diaphanous dress, embellished with colourful floral motifs with the minimal jewellery and bright pink lips made the pictures perfect. Aishwarya, first walked the stairs of the Cannes film festival back in 2002 when she presented her film, Devdas at the fest. This year, Aishwarya is presenting Devdas yet again as a part of the L’Oréal Paris Open Air Cinema that is scheduled to take place tomorrow.